Nog4yH4n Project Ransomware is one of the many ransomware programs that had to deal with back in 2018. Unfortunately, this infection might still be making rounds today, so we feel obliged to inform you about it. This is a rather basic infection, but we all know that we cannot joke around with ransomware. If you happen to have this program on your PC, remove Nog4yH4n Project Ransomware immediately. After ransomware removal, be ready to explore different file restoration options, too. If possible, use a public decryption tool to get your files back. Also, employ all the measures possible to avoid similar infections. 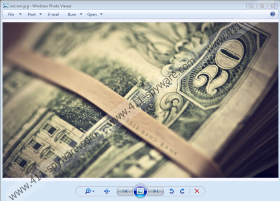 Nog4yH4n Project Ransomware comes from the Hidden Tear family. It means that the main malicious code was created by someone and then put up for sale on the darknet. Someone got the original code, tweaked it, and then released Nog4yH4n Project Ransomware. Other infections from the Hidden Tear family include SymmyWare Ransomware, HiddenBeer Ransomware, SnowPicnic Ransomware, and so on. Unfortunately, it is not possible to apply the same decryption tool to all these programs, but at least we can be sure that it should be easier to create. We would like to point out that there might be several versions of this program out there, too. The sample that we worked with didn’t encrypt our files. It doesn’t mean, however, that other versions of Nog4yH4n Project Ransomware wouldn’t do that either. So if you see the Nog4yH4n Project Ransomware ransom on your screen and your files are encrypted, then it is definitely a problem. Also, we have found that if the files do get encrypted, the ransomware adds the ‘.locked’ appendix to the affected filenames. Whether your version of Nog4yH4n Project Ransomware encrypts the files or not, the point is that one must be ready to avoid such programs. The best way to do that is to stop downloading and opening attached files without any second thought. If you receive an unexpected message from an unknown sender, opening the attached file shouldn’t be your first impulse. You should certainly double-check with the sender whether the message is legitimate. Unfortunately, most of the users who get infected with ransomware do not think about doing that. And thus, they are left to deal with tons of encrypted files. Based on the programming, Nog4yH4n Project Ransomware is supposed to encrypt documents and picture file formats. Like most of the ransomware apps, it doesn’t touch the system files because it needs your computer to work properly, so you could contact these criminals and send them the ransom fee. Needless to say, you should never do that. If Nog4yH4n Project Ransomware doesn’t encrypt your files, simply remove this program immediately and invest in a security tool that would protect your system. If Nog4yH4n Project Ransomware has encrypted your personal files, remove the ransomware and then delete the encrypted files too. The best way to restore the data library is to transfer healthy copies of your files from an external backup drive or a cloud drive back into your PC. Maybe you have most of your files saved on your mobile device, your flash drives or your inbox? Whichever it is, do go through all the recovery options possible. Locate the Rand123 folder in the directory. Remove the Local.exe file in it and then the folder.